Many high-net-worth clients give to charity annually, and they need you to help them identify the most efficient way to support the causes that are important to them. 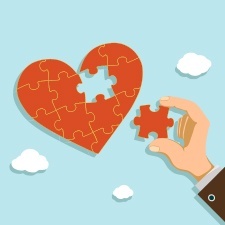 By brushing up on your knowledge of the charitable deduction and various giving strategies, you can both help your clients meet their philanthropic and legacy goals and grow your practice through charitable planning. Identifying the right organizations to support is important; crafting the appropriate plan is critical. To grow your practice through charitable planning successfully, you and your clients first need to understand the tax deductions available to them for their charitable contributions. To take a charitable tax deduction, a taxpayer must itemize deductions. Unused charitable deductions can be carried forward for up to five years. But how much can be deducted depends on whether the charity is public or private. Public versus private charities. Public charities receive most of their support from the public and have a greater focus on broad public interests. Most churches, hospitals, and educational institutions are designated public interest charities. If the charity is not designated a public interest charity, it is considered a private foundation. The safest way to be sure is to ask the charity itself. The deduction for a donation to a public interest charity is limited to 60 percent of adjusted gross income (AGI), assuming that the taxpayer is living (estates have different rules). The deduction for a donation to a private foundation is limited to 30 percent of AGI. The type of property donated. Another limitation on the deduction depends on what is donated. If cash is donated, the deduction limit remains at 60 percent of AGI for public and 30 percent for private charities. If appreciated property is donated to a public interest charity, the deduction is limited to 30 percent of AGI. For a private foundation, it is limited to 20 percent of AGI. This is how the reference to a 60/30 or 30/20 charity is derived. Donor-advised funds (DAFs). In recent years, DAFs have become the fastest-growing philanthropic vehicle for charitable giving. DAFs are unique because they combine the ongoing flexibility to choose which organizations to support with up-front tax deductions. When a taxpayer funds a DAF, he or she makes an irrevocable gift of cash or property to the DAF, which is itself a public interest charity. The DAF agrees to take these funds and deposit them in a segregated investment account where they will be managed by the donor’s financial advisor. The donor now becomes a “grant maker.” The grant maker’s responsibility is to direct the DAF to make contributions to other 501(c)(3) charities. Because the gift to the DAF is irrevocable, the donor receives a full tax deduction for the value of the property (subject to the limitations previously discussed). The donor may now choose which charities to support with those funds throughout his or her lifetime, and the grants may be anonymous or in the donor’s name. The donor can also choose successor grant makers after his or her death. Charitable remainder trusts (CRTs). Another important vehicle in charitable giving is the charitable remainder trust, which is a split interest trust with both an income beneficiary and a remainder beneficiary. The two main types of CRTs are charitable remainder annuity trusts (CRATs) and charitable remainder unitrusts (CRUTs). Sale of a business: Many clients who have built successful businesses are looking for exit strategies that avoid immediate taxation of the sale proceeds. Because a CRT is tax exempt, when a business is contributed—and subsequently sold—within the CRT, no tax is due on the sale. The full proceeds from the sale are reinvested and generate an income stream to the donor. Distributions to the donor are taxable in the same year they are received. In addition to avoiding immediate taxation, the donor receives a charitable deduction that can be used to offset the income as it pays out. Concentrated stock position: Concentrated stock positions can be the result of employee stock options or ownership in a corporation that went through an IPO. If you have a client that fits this profile, consider using a CRT to diversify the position, create an income stream for the donor, and create a charitable deduction equal to the remainder interest going to the charity. Sale of a CRT interest: Over time, clients with CRT income interest may find that the CRT no longer makes sense. Whether it is a need for liquidity or a desire for simplicity, donors can sell their income interest on the private market. Because of the way the IRS values a CRT interest, clients often can get more for the sale of the CRT interest than they can in a termination. CRT rollover: Some clients may decide that they no longer need or want the income generated from a CRT, but they want to avoid the lump-sum taxation of a sale or termination. In this situation, clients may benefit from a CRT rollover strategy. Because a CRT is irrevocable, there are limits on what can change, but clients can draft a new CRT and assign the income interest from the old CRT to the new one. A rollover can be used to add beneficiaries or delay income distributions to a later triggering date. Giving away money may not be the main focus of what we do as planners, but it is an increasingly important service we provide for our clients. Through proper planning and the presentation of these unique solutions, you can effectively grow your practice through charitable planning and help clients fully exploit the advantages of charitable giving. Do you regularly discuss charitable giving with your clients? Are some charitable giving vehicles more popular than others are? Please share your thoughts with us below!